Yesterday I went to Homerama with Aprille. I have a feeling that I focus on things other than what they intended... like the houses. 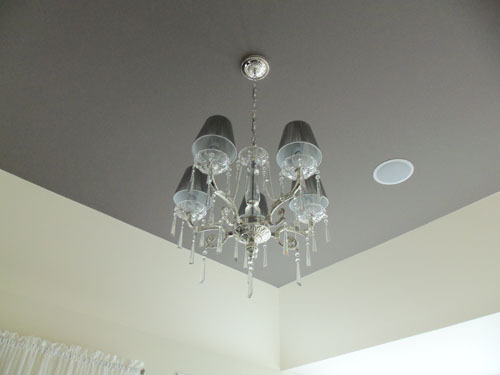 I like things like this grey ceiling. 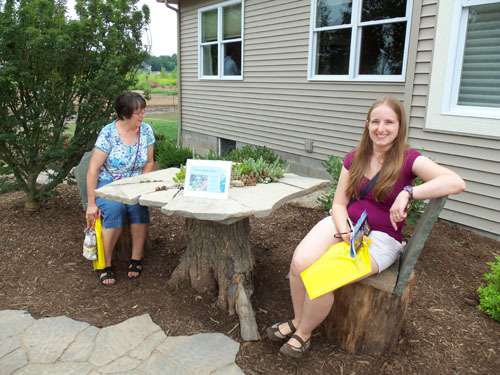 And this stone table Aprille and her mom are sitting at. The base is a wood stump. 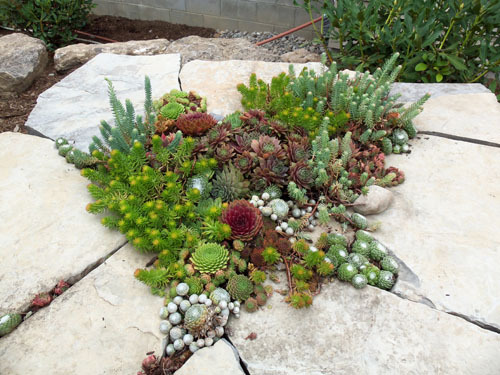 And there were succulents growing on top. 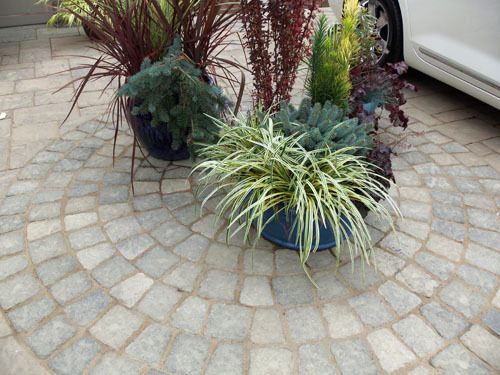 This was supplied by Oriental Garden Supply. 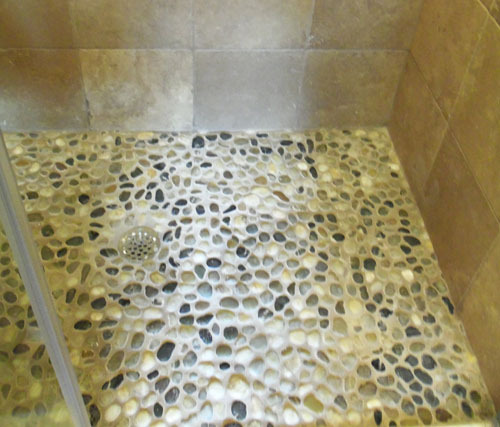 I love this pebble shower floor! Several of the houses had paver driveways. I would love that... so much greener than an asphalt driveway. How cool is this? 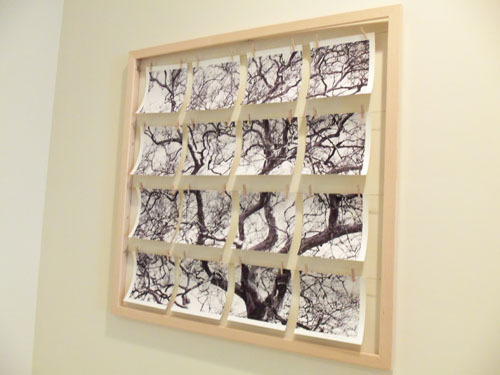 A frame with wire to hang pictures on. 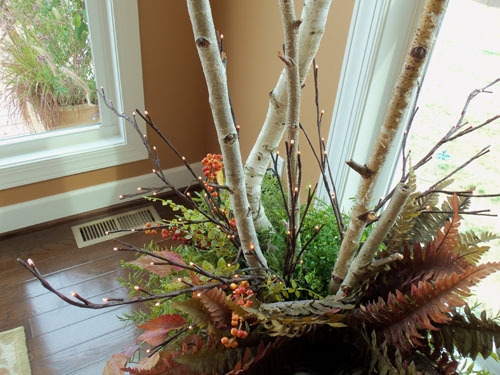 These were little branches with lights on the tips. 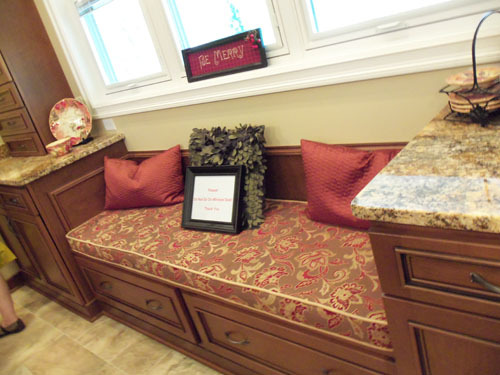 And this... a window bench in the kitchen! I love window benches... and to have one in the kitchen?! It was too crowded when I went - we were herded about. But I have some of the same photos! Did you happen to study the construction of that table at all? I have a stump in the yard waiting to be turned into a table... stone would be awesome as a top. I'm wondering how they held it all together. I was JUST thinking that a window bench in my bedroom would be lovely! Rubystheory - I didn't inspect it closely but I wish I did! 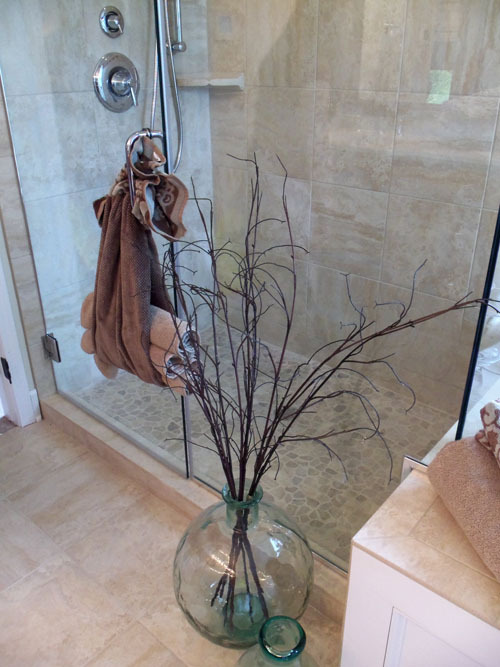 Cool ideas! LOVE the frame! Yes, what lovely ideas. The table is great and so is the frame. And so easy! Thanks for sharing them.